Ven. 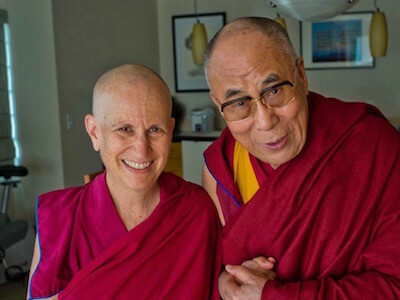 Chodron teaches from The Foundation of Buddhist Practice, the second volume of The Library of Compassion and Wisdom series, co-written with His Holiness the Dalai Lama. The book and the course offer a rare opportunity to delve into important aspects of Buddhist philosophy. Like all Abbey programs, the The Foundation of Buddhist Practice course is offered on a donation basis. An offering and registration form are requested to reserve your place for the retreat.